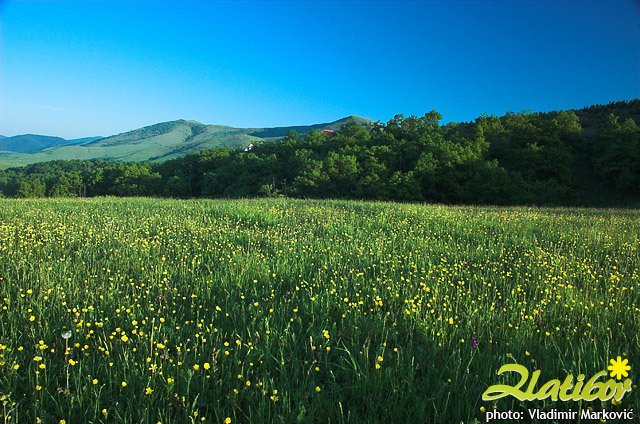 Zlatibor as a geographical unit encircles the territory between the rivers Susica and Uvac and the eastern slopes of Mt. Tara and western slopes of Mt. Murtenica. 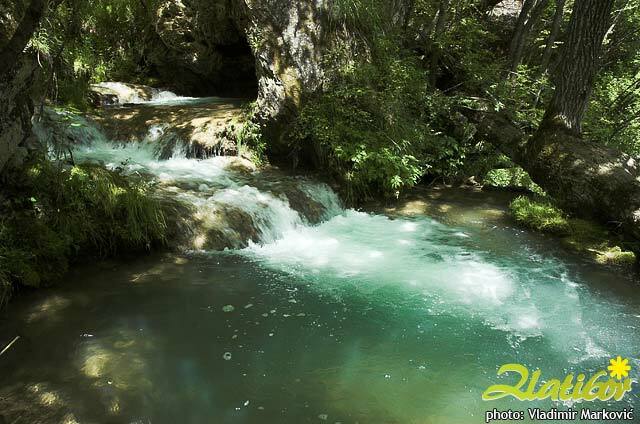 The villages Kremna and Mokra Gora belong to it in the northwest, Mt. Murtenica, Zlatibor piedmont area, that forms a pass towards the nearby Tara and the Sandzak mountains, belong to it in the southeast. 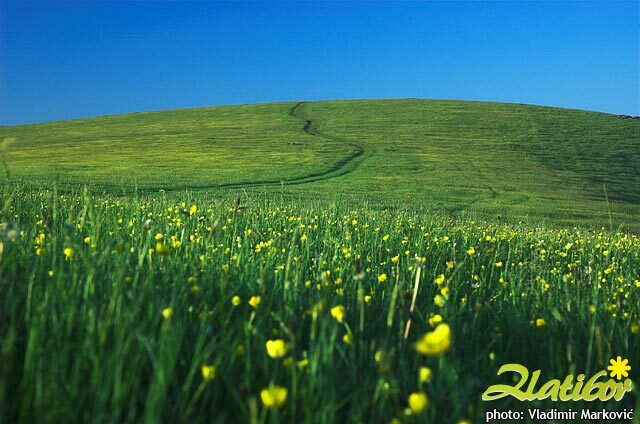 Touristic concept of Zlatibor include the vast plateau 30 km long and 12 km wide, which spreads from northwest towards southeast, bordered by the mountain peaks of Gradina, Crni Vrh, Cigota, Murtenica, Tornik, Cavlovac, Vijogor and the upper course of the river Susica. 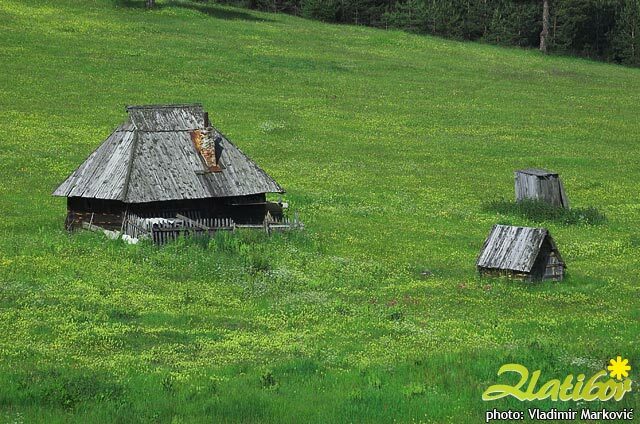 On this place touristic settlements like Ribnica, Kraljeva Voda, Palisad, Oko and Cajetina started developing at the end of last and the beginning of this century. The micro climate is very special here - there is a great number of sunny days during the year (more then 200), and the "rose of the winds" is flowering exactly above Zlatibor. 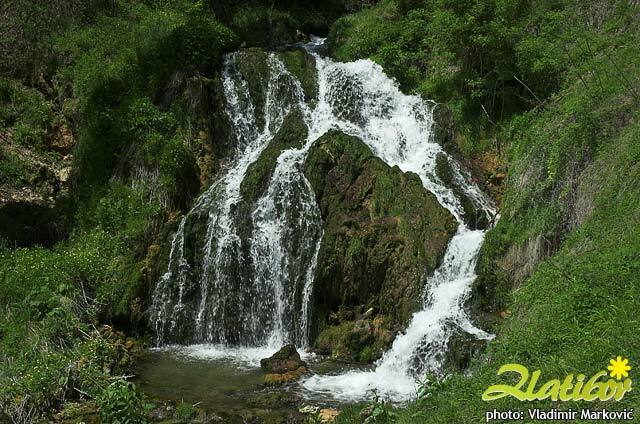 Zlatibor is famous as an air spa where mountain and sea streams collide. The summers are hot and the winters are mild. It rains relatively often and there is a snow from October to May. 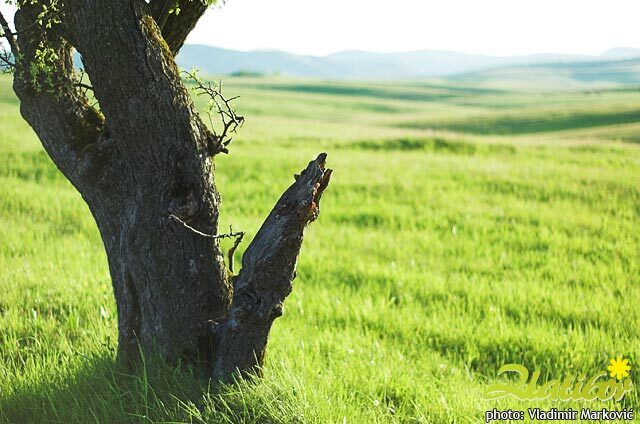 Zlatibor is declared as a therapeutic region, for all acute and chronic diseases of respiration organs, of thyroid gland, of all kinds of anemia , etc. 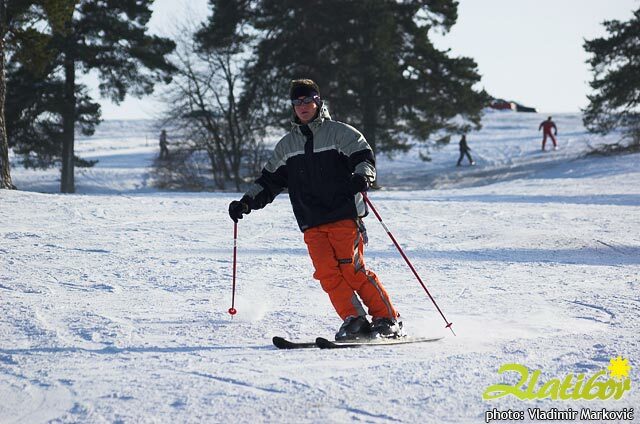 The stay on Zlatibor is recommended for convalescence after infectious diseases and surgical operations too. Nature was generous with Mt. 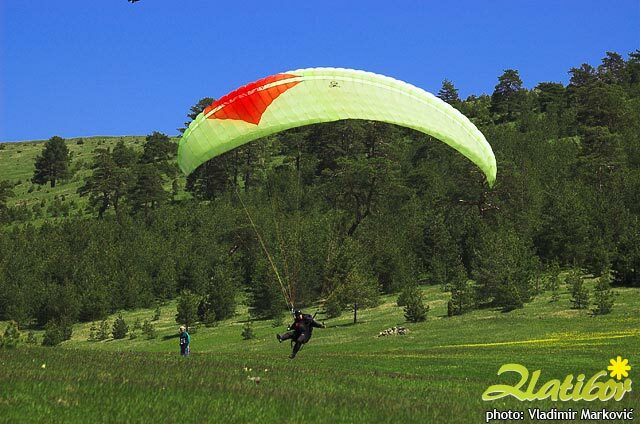 Zlatibor giving it its beautiful scenery, rolling heights overgrown with pine, fir, and spruce forests here and there, vast meadows decorated with white narcissuses and other colourful flowers, very pleasant and mild climate, a great number of sunny days, unpolluted air and other amenities. Owing to specific climate to harmonius relationship among wooded areas and spacious meadows covered with streams, unpolluted air, healthy and clear water, a great number of sunny days, wonderful ski terrains, characteristical air streams (continental and mediteranian), its suitable sea level hight, the most wanderful landscape, friendly hosts... Zlatibor has developed into a famous summer and winter tourist resort with the longest tourist tradition in Serbia. Current capacity of tourist objects is 6500 beds. 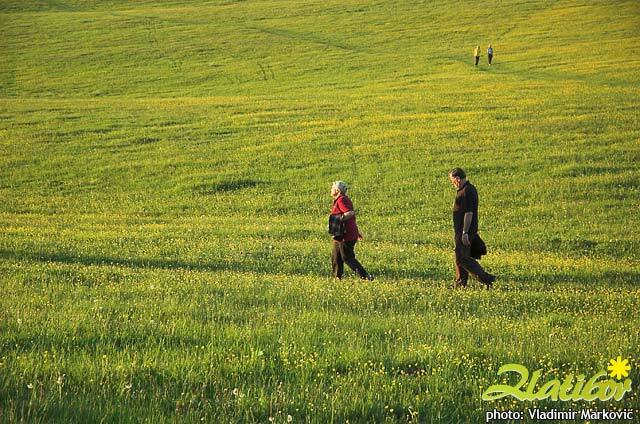 Unofficially about 130.000 visitors spend about 600.000 nights on Zlatibor a year (in hotels, rest homes as well as in private rooms). 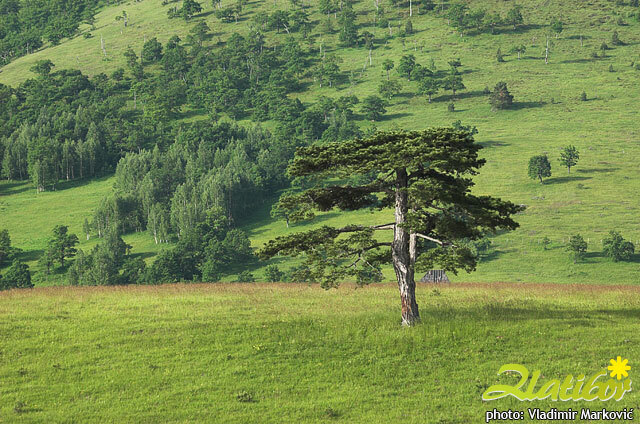 A description of Mt.Zlatibor peaks from the book "On the fragrant Mt. 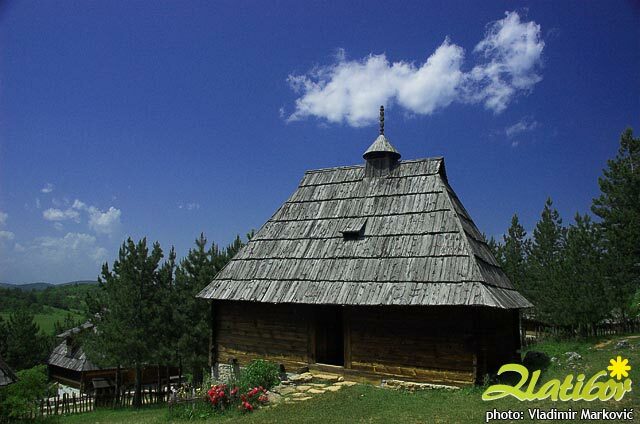 Zlatibor", written by Sreta A.Popovich, published in Belgrade in the year 1908: "...Putting aside those braids of mountain saddles and hights we notice immediatelly, that on the very top of Zlatibor, in Dobroselica, Tornik (1496 m) raises proudly, decorated by a thick coniferous forest. On the north there is Sargan across which a road leads from Uzice to Bosnia and Hercegovina, and where the remainders of a Turkish bridge are still standing. 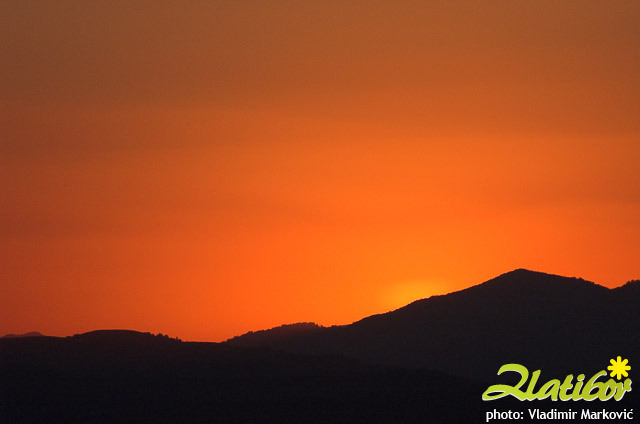 On the southeast there is Murtenica, a famous mountain 60 km in the scope, richest with forests. It consists of many parts with special names and it is overgrown with fir forest, pine forest and hasel grove at the borders. 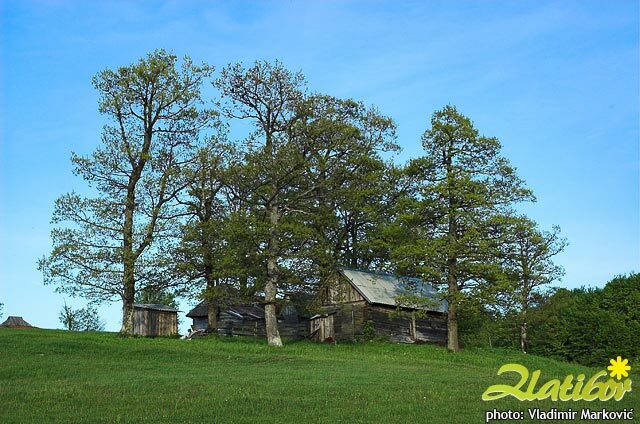 On the northwest side of Zlatibor plateau there is Gruda with its stunted forests of cerris, oak and hornbeam and there is a nice view of Zlatibor from there. Another bigger peak is Gradina above Cajetina. As the air is as clear as crystal our glance pointed towards the southwest exceeds the present borders of Serbia and stops at the magnificent top of Durmitor. Komovi is to the south and we can recognise the blue shape of Sar Planina on the southeast. Let's turn now towards the southeast. The mountains Ovcar and Kablar are in front of us and they seem to be so near that you could throw a stone to them. To the right, from Rudnik a big crest of mountain branches off and Bukulja, Kosmaj and Avala raise there." and the Gostiljski Potok (where there is the waterfall from the picture, located behind the football field), and the Prishtavica with the Ponor. On Mt. 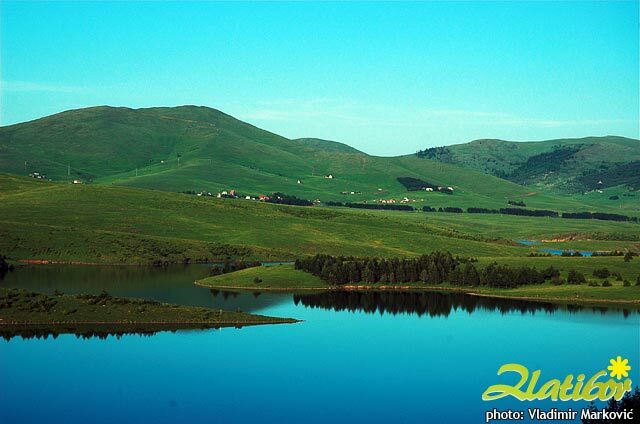 Zlatibor there are two artificial lakes: The bigger one is in Ribnica on the river Crni Rzav. Its area is about 10 square km. It's rich with all kinds of fish, such as: chub, gudeon, traut, carp, tench and sheatfish. 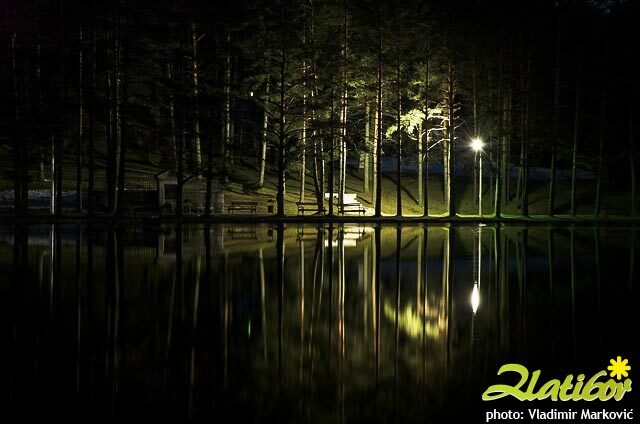 In the very centre of the tourist town Zlatibor, the smaller lake, intended for tourist needs, is situated. It is surrounded by pleasant paths and benches for the visitors to have a rest. 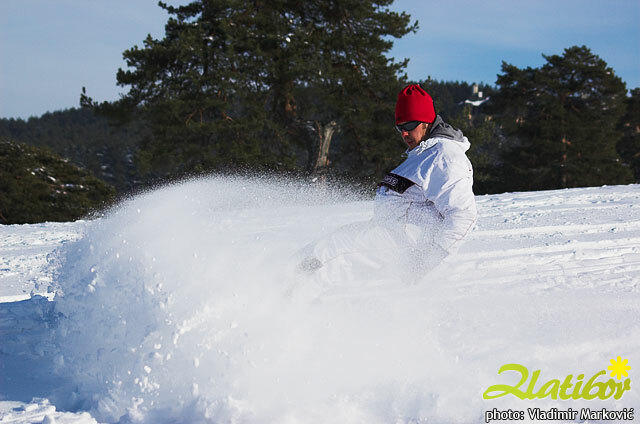 In summer they can swim and sunbathe there, and they can skate on its icy surface in winter (it is called "The Zlatibor Sea").